Prior to 2008, Licensed Practical Nurse training courses did not include specialized LPN IV Certification as part of the curriculum, because LPNs were not required to perform intravenous therapy. 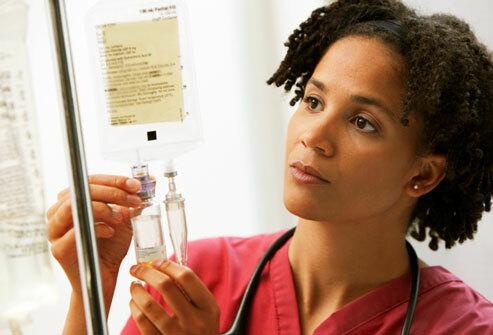 LPN IV Certification courses specifically prepare those students who did not receive IV therapy training, and consist of a pre-study curriculum together with classroom training. Certification course are generally developed according to the nursing standards required by each specific state. These standards usually dictate which type of IV therapy the LPN may perform, and the courses are usually one or two-day courses. Assisting a Registered Nurse to administer mid-clavicular, mid-line or central venous infusion of board-approved IV fluids. The LPN does this by checking the IV flow-rate and changing the dressing. In most states an IV Certified LPN may not initiate, add to, regulate, administer medications or discontinue a central venous, mid – clavicular or mid – line IV line. There are also certain medications which they may not administer or add to a peripheral venous line, such as blood or blood components, plasma or plasma expanders, chemotherapeutic agents, IV push or bolus medications, and others that are not indicated in the regulations regarding LPN IV therapy. There are many regulations governing what the LPN IV Certification does and does not allow an LPN to do, and these must be strictly adhered to. Graduates of state-approved licensed practical nursing programs that included the IV integrated curriculum, and who desire to be IV Certified need to apply to the Board for licensure and expanded role certification once they have completed the program. Upon successful completion of the LPN NCLEX and once all eligibility requirements for licensure have been met, the graduate will be granted IV certification. The application for the expanded role certification must be received within one year of completion of the LPN program; if this is not done the Board will require the applicant to complete a board-approved certification course. LPNs who did their training prior to 2008, and/or did not graduate from an IV integrated program must hold a current LPN License in the state in which they wish to be certified, and have a minimum of twelve months clinical experience as a LPN within the past three years. Official written evidence of the completion of a board-approved IV therapy curriculum course is required when applying for certification. Like the LPN license itself, the LPN IV Certification is subject to renewal. This is best done in conjunction with the renewal of your LPN license, and can most easily be done via the board’s all-inclusive online renewal system. You could also opt to renew via documents, but that requires two separate applications, one for the LPN license and another for the IV certification renewal. The online method is really far easier and that way you are also ensured that the board will receive both applications. In order to renew your IV certification you must have completed a minimum of ten contact hours of in-service education or continuing education in IV therapy within the previous two years. You will be asked to indicate whether you have completed the required number of hours on the application for renewal but need not supply evidence of compliance. Be aware though, that the board performs random audits to determine compliance. Irrespective of whether you have completed an LPN IV Certification course or did an IV integrated curriculum program, contact hours are a basic requirement for renewal of your IV certification. There is only one exception to this rule, and that is if you were certified within the previous two-year period of renewal, e.g. If you were certified on January 15, 2011 and the renewal period is between 1 October and 31 December 2011, you are considered to have met contact requirements. Once this period has ended, you will need to ensure that you complete the requisite contact hours for each renewal period. All courses and in-services which are accredited by the American Nurses Credentialing Center (ANCC) are acceptable, as long as they apply to the expanded role. There are also other courses that are offered through various LPN Associations which will be accepted, as well as courses and education programs offered by various facilities. Contact hours can also be accessed online, but make sure that the courses meet the ANCC certification requirements. Some courses may also require applicants to have first completed a veni – puncture course and Health Insurance Portability and Accountability Act (HIPAA) training. Others may require you to have a current cardiopulmonary resuscitation certification. Many employers offer these courses or sponsor LPNs in their employ. Other options for gaining certification are to attend one of the certification courses offered by many community colleges. Individuals are often required to complete a self-study course culminating in an examination, prior to gaining entrance to the certification course. The topics covered in IV Certification LPN courses include refresher courses in health care laws, physiology and anatomy. 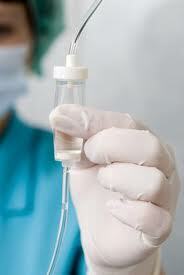 You will also be taught practical approaches to IV therapy preparation and administration. IV therapy certificate programs typically prepare students to meet an individual state’s IV certification requirements and qualify as continuing education for licensure purposes. Training will take place in a laboratory using the same equipment and supplies that you would normally use to initiate and administer IV therapy and to demonstrate the basic skills of initiating IV therapy together with regular clinical settings at your place of work or another hospital setting. The principles of site selection for the appropriate veins to assess for intravenous therapy. There are various courses with some facilities offering a one or two-day course and others that offer a 60 hour course billed as an independent study format course. These courses are usually approved by the State’s Board of Nursing and are specifically designed to allow you to continue working whilst completing your LPN IV Certification course at your own pace. The independent study format courses usually include one day of laboratory instruction and practice, and allow you to complete the balance at your place of work. There are also the two national LPN associations, NFLPN and NAPNES, which offer two different certification options for LPNs. NFLPN offers gerontology and IV therapy exams, and NAPNES offers pharmacology and long-term care certification. If you are an LPN who works in an institution that deals with the elderly, you may be interested in completing the NFLPN Education Foundation’s IV Therapy and Gerontology Certification program. If you are already in possession of the knowledge and skills required for this specialty, you can apply for certification by submitting a copy of your current LPN license, and completed proctor and endorsement letters. A specific course in gerontology is not required. An individual at your facility will need to proctor the exam, which means that they must maintain test materials and oversee the completion of the exam. You will prepare for the exam by reviewing the test preparation materials which will be sent to you upon successful application. This will include videos and suggested readings. There is no limitation on the time you may take to complete your studies. On passing the exam you will receive a certificate which is valid for two years, after which you will need to re-certify every two years by providing proof of current LPN licensure and the requisite number 20 continuing education credits. The LTC program covers care of chronically ill patients who may live in a skilled nursing facility and geriatric issues. 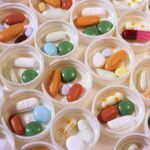 The NAPNES pharmacology certificate or NCP(TM) as it is known can be taken by anyone in possession of a current LPN License, and the preparation for it is generally incorporated in the LPN curriculum. If you did not get this preparation as part of your course you can also take a short course to prepare. You can apply to take this exam either directly after completing your course or based on work-experience, as long as you have documented 2,000 hours of long-term care practice within the preceding 3 years. Re – certification must be done every three years, and requires documentation of employment in the area of certification as well as documentation of continuing education. 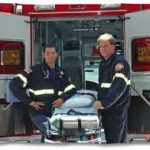 Why Do I Need LPN IV Certification? 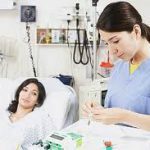 Not every LPN is IV certified, and some do not bother to get their certification, but there are many reasons that you should. Apart from the fact that your salary can actually double with IV certification, it also opens up the scope of what you can and cannot do as an LPN, which in turn improves your worth to the facility at which you are employed. In other words, getting LPN IV Certification improves your marketability to potential employers, and even to your current employer. Virtually no states will allow a LPN to perform hemodialysis. 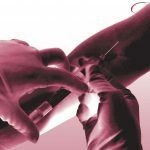 Certain states, including Arkansas, California, Connecticut, District of Columbia, Iowa, Kansas, Maine, Michigan, Nevada, Ohio, South Carolina, and Wyoming will not allow LPNs to administer IV therapy unless they have their LPN IV Certification. Other states such as Georgia, Hawaii, and Oregon have no restrictions or set guidelines about LPNs administering IV medications. The other states differ in their approach as to whether and what IV therapy can be administered by LPNs. Some states only allow for certain meds to be administered by LPNs whilst others may not be; some states allow LPNs to manage chronic dialysis, obtain blood specimens, administer emergency cardiac meds via IV push, monitor patients’ responses to blood and blood products, perform certain hemodialysis procedures under direct supervision of an RN, administer vitamins and antibiotics, flush peripheral intermittent devices with physiological saline or a heparin solution, administer corticosteroids and H2 antagonists mixed and labeled by a pharmacist, and administer selected meds by IV bolus according to “specific institution policies and after specific institutional in-service.” Other states allow free reign as to what LPNs may administer, as long as they are supervised by an RN or other medical professional. In order to know what the regulations in your state are you should contact the State Nursing Board in your state. Irrespective of the regulations though, obtaining your IV certification can never be a bad thing. LPN IV Certification can be obtained through various credentialing agencies such as the Infusion Nurses Certification Corporation, which offers a computer-based test given at various testing sites.